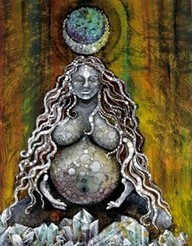 This is such a magical time for all of us here on Gaia. This rare alignnment portends a new way of being, new mass consciousness, by movement in these areas : heart centered connections with others , choosing Life in every moment, achieving the sacred balance of giving and receiving, honoring each other, all beings and Mother Earth by being kind, simplicity and humility, understanding the difference between judgement and discernment and staying centered in self-love. These are all very idealist qualities, qualities to strive for, because this powerful Scorpio eclipse new moon imbedded in a Mercury retrograde pushes our buttons to release old patterning that no longer serves us. By aligning with the Pleiades, the energy is heightened and more Light is bestowed with grace onto our dear planet. This is exciting because our souls are crying out for a new way of being. 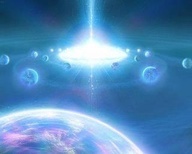 With this lovely, loving, benevolent Light pouring onto the planet from the higher consciousness of the Pleiades we are being heard and embraced to continue higher in our evolutionary progression to the 5th dimension. Bottom line: Let the emotions of anger, grief, loss, and self-judgement you no longer need come to the surface to be released so you can feel lighter, more joyful and ready to celebrate. Really try not to blame others because at this time old stuff emerges we thought we had resolved. Targeting others is the OLD energy and no longer serves us. This last Mercury Retrograde pass is not about reliving old wounds yet learning why we chose to participate in that drama. This is valuable information to access! Please do not discount it. Contemplate and ponder why we created something that gave us pain. Do we need to learn through pain anymore? Is that old programming? Can we learn through Joy? Is that the new program? Own your chosen experiences, move through them and really release them. It is time to move on! This is why all kinds of bodywork is fantastic for us this month. Self-care is THE word for November and December 2012. Our bodies are changing to absorb the Light pouring onto our planet so we are slowing down, one way or another, to be able to receive it! Let’s do ourselves a HUGE self- loving favor by consciously addressing any body concerns that we may have. Celebrate and honor our bodies. LOVE OUR BODIES! Let’s take our bodies into the higher dimensions with us. Move, Dance, Sing! Celebrate! We are movin on up! This morning a great friend sent me this link www.sistergiants.com and Marianne Williamson’s Huffington Post article given just after the election on Nov 6, 2012. In it she talked about how bored she is with the current state of politics. She is doing something about that today starting with a great conversation with women about how to change and spiritialize politics. Wow! I am impressed and interested, at last! All that praying we all have done is manifesting into something and women are leading here in this unlikely arena as well! So many of us have dropped out the system because we realized that we cannot make a dent in a broken politcal system. Many of our friends have had huge debates with us about the importance of voting. Yet, here in Arizona, (just one example) all the votes are still not counted and local candidates have conceded without really knowing the facts. This state is just one of many where the cogs of the political machine no longer run smoothly or at all! Now, this is not my area of expertise at all yet I think the political system has to die to let something else rise out of the ashes. Let the phoenix rise in Phoenix andin every state! Please check out the sister site and read Marianne’s article. We can make a difference if we start a new conversation then action follows. I get chills just thinking about the possibilities available to us as this Solar Eclipse in Scorpio approaches. We can rock this world! We got this! Categories : Insights, New Amazing Now Age Happenings!